Looking for something to do today? There's always TEDxArb. If you are looking for something a little more active, then there is pickup Quidditch in the Arb. Meet in the main valley at 2 pm. Don't have a broom? Don't worry, the U of M Quidditch Team has extra. Sometimes I say to myself, "Ben you shouldn't criticize others just because they've retained a sense of imagination and childlike wonder when you have not." But then I'm like, "At least I'm not a grown man that runs around when a broom between his legs." 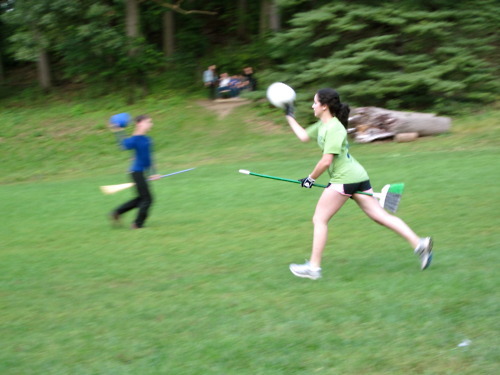 Is muggle quiddich more fun than play Zombie Tag?